Reached that stage where you want to change your life? Tired of the same role? Passed over for promotion, or seeking a work/life balance? If any of this sounds familiar, then this book is for you! 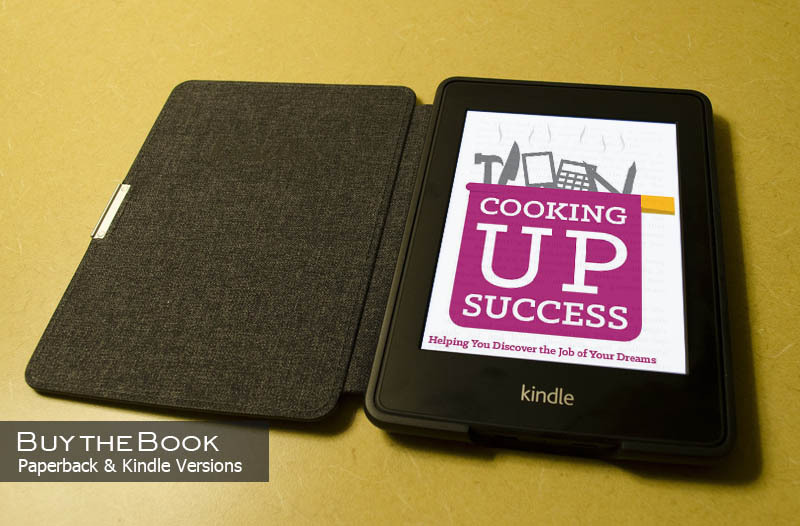 Cooking up Success is a combination of exercises, tips and tricks to help you work through the recruitment maze and master career change. Based on over 20 years of personal experiences since moving to the UK, when redundancy and change forced me to re-evaluate my skills, knowledge and approach to finding new employment, I have shared my learnings so that you can create your recipe for career success! Our approach to career transition is based on two passions, food and people. This methodology uses food as a metaphor for change. Based on my background, tried and tested with individuals, audiences and teams, we found that food breaks down barriers, helps put people under change in a relaxed state, and find it easier to relate to food and the synergy with changing careers. You have your recipe: making a change is your goal. Following the steps in any recipe, we start at the beginning, building on those ingredients needed to make a complete dish. Imagine these ingredients are your skills: read, work through the exercise and hopefully you will be inspired to find the career, job or employment you desire. When everything is changing around you, as it did for me, cooking can help keep you sane AND focused on your outcomes.